Charly marks our first collaboration with Chris and Julia Marcum, founders of popular home design blog Chris Loves Julia. 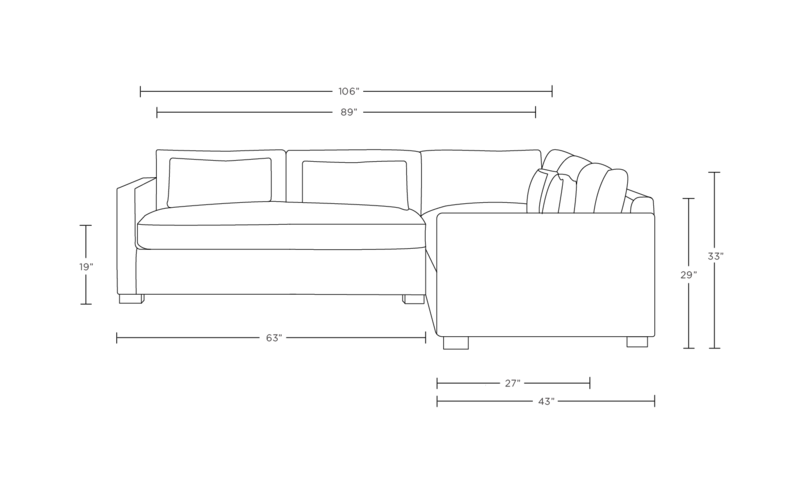 The result is a custom corner sectional sofa that balances beautiful design with family-first function. Clean lines, including slim track arms and box cushions, create an elegant profile that appeals to adult tastes.